It all started with a Kodak Instamatic 124, you know the kind with flash cubes? Fast-forward 30 years to the Digital SLR era and here I am clicking away just as much as ever. Not with an Instamatic anymore of course, now my camera of choice is a Canon. Photography has always been prevalent in my life thanks to my mom who has documented her family’s lives well. It never took center stage though; I never thought it could, it always hung out in the periphery. I have a full time occupation as well as being a full time wife and mother. I was happy, but was not feeling fulfilled. I wasn’t doing what I indubitably love to do. I have always been happiest behind the camera. Recording the relationships between people and the end result of preserving a memory through photographs is very important to me. To define a moment that can be recalled at a glance for generations to come is significant. Some people may not find it beneficial, but ask any 85 year old to recall a memory from a photograph taken 67 years ago and they will be able to tell you in depth everything about that day. It’s amazing the power of a photograph. 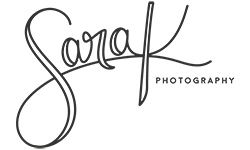 I am a photographer specializing in on-location, natural light photography servicing the Chicagoland area with a focus on my ultimate enjoyment--HIGH SCHOOL SENIORS! My bachelor’s degree is not in Photography or any of the Arts for that matter. But it is my belief that if I continue to learn I will continue to grow. I live by these words. I have attended The Illinois Institute of Art, numerous conferences, workshops, seminars, webinars and tradeshows. I am constantly reading anything I can lay my eyes on. I follow countless photography blogs and tutorials to stay relevant. My thirst for knowledge and drive for continued education helps me in my aspiration to become a certified professional photographer in the coming years. I live in Lake in the Hills which is located in southeastern McHenry County. I am married to a great man who adds spice to my life, plays the salt to my pepper. We share our home with two wonderful children. Besides photography I enjoy, reading blogs, apple cider donuts, island vacations, bubble baths, Cherry Coke™, the color red and the smell of skunks-LOL! Things I don’t enjoy: orange candy, magazine inserts, sand and fresh tomatoes. My sessions are low-key relaxing affairs with simple candid photos resulting in a positive client experience with NO LIMITS. I anticipate the opportunity of working with you. Thanks for stopping by.